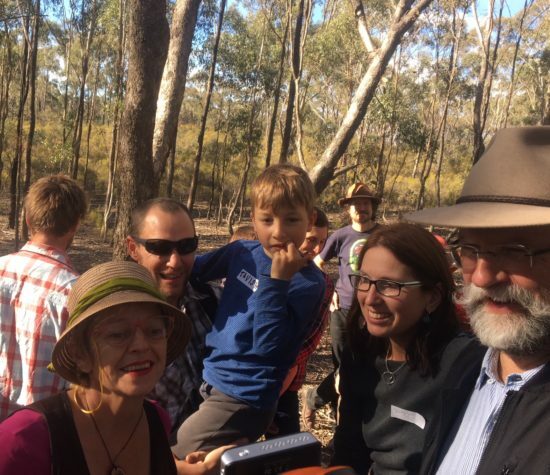 Nestbox workshop – a sweet success! 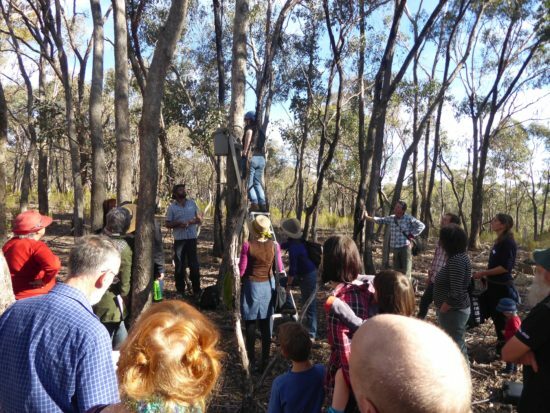 Connecting Country’s Nestboxes for Wildlife workshop on Sunday 6 May 2018 was blessed with fine weather, a great presenter, and sightings of a little sugar glider family via our special nestbox camera. 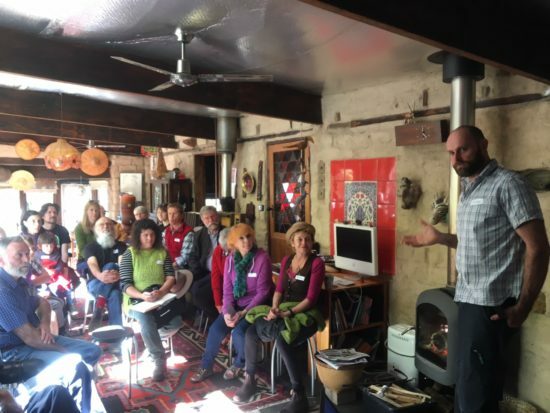 The workshop was held at a local Trust for Nature property owned by Jan Hall, a long-time Connecting Country friend and supporter. Jan kindly opened her home so we could view a presentation inside, and enjoy an al fresco lunch under the grapevines. Our presenter, Miles Geldard, has had a long career in natural resource management, including working as a Land for Wildlife Officer and park ranger. But most relevant for us, Miles shared his in-depth understanding of the design, construction, installation and maintenance of nestboxes, gained over many years of observation and trail-and-error. Information from Miles’ presentation will be summarised and made available as a fact sheet on our website. This workshop was very popular and was fully booked. Therefore we are holding a repeat workshop on Sunday 17 June 2018. Bookings are essential. 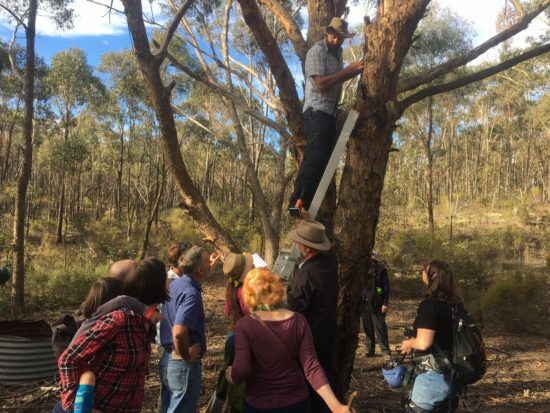 If you would like to attend, please contact us by email (tanya@connectingcountry.org.au) or phone (5472 1594). Many thanks to Miles, Jan, Asha, Frances and Duncan for their help on the day! And many thanks to the Wettenhall Environment Trust for the funding that made this workshop possible. Please enjoy this gallery of photos from the afternoon. 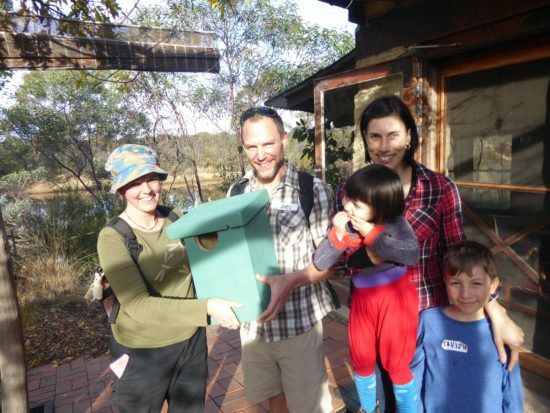 Joel, Hilary, Tavish and Caromy were delighted to win this parrot/tuan nestbox as our door prize. Miles’s presentation in Jan’s lovely home. 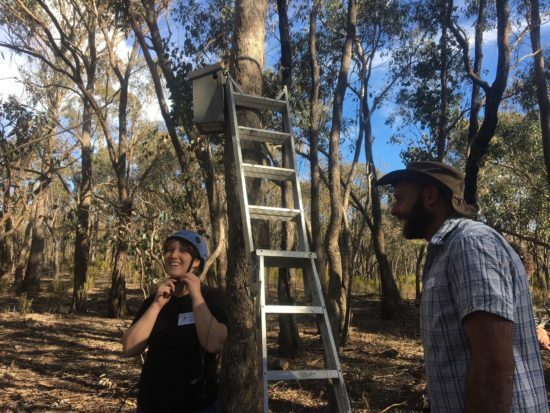 Asha conducted an official Connecting Country nestbox check. The nestbox camera shows a pair of sugar gliders. 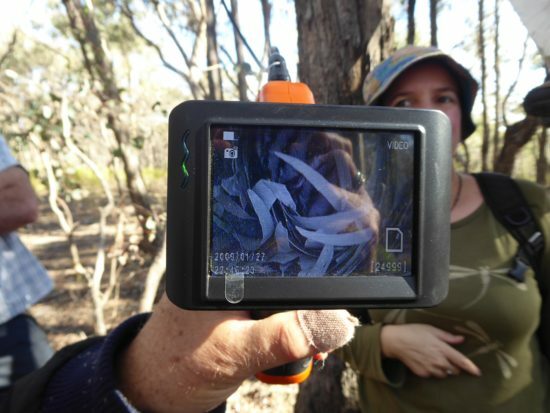 Everyone was delighted to see the little marsupials.